DAILY REPORT: The weather finally was cooling off. Today it was supposed to be in the low 80's. the winds were problematic. They were off the beam or just forward the entire day. I am not sure how far I'll get on this tonight. I am really tired and we have another century ride tomorrow to Eureka KS. We started off the day w/ a continental breakfast and then loaded up in the car for Dodge City. 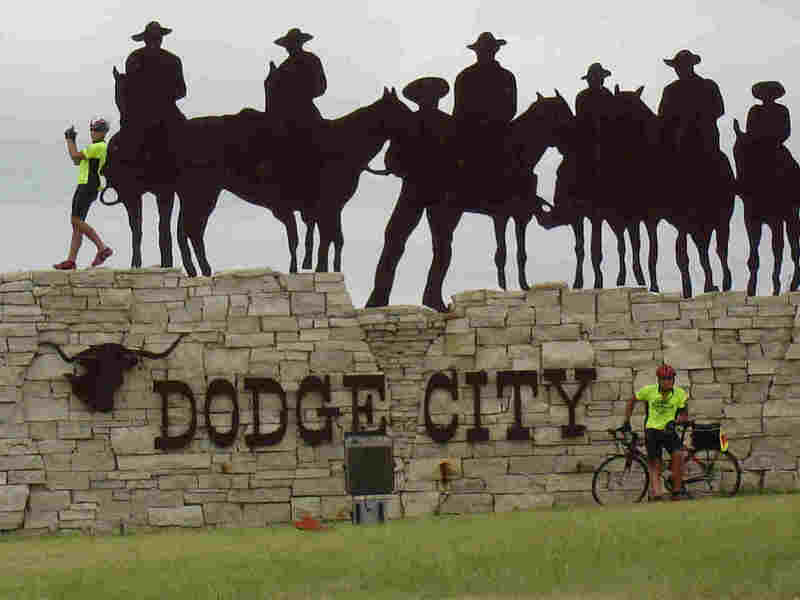 As discussed yesterday, we wanted to keep on schedule so we were driving to Dodge City. The ride today was rough. In fact it was most likely our hardest day so far. We started at 0830 and finished at 2020. That was a full day of biking. Rt 50 had a nice shoulder and the weather was cool and over cast. The only real challenge was that darn wind. We either had the wind off our beam or just forward. Talk about an energy sucker!! I was very proud of the boy's bike handling skills. Because of the strong wind we had to ride in a tight formation to minimize the adverse wind. Everyone did very well. We did get our first flat tire today. Not bad considering we have gone over 2,000 miles. John picked up a small piece of wire which most likely came from one of the thousand blown steel belted tires that litter the road ways. I give a lot of credit to the Armadillo tires and the Gatorskin tires we are using. 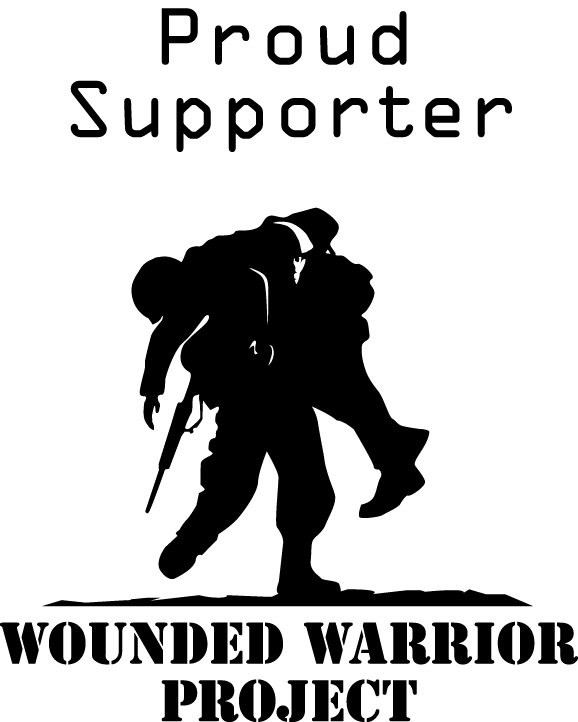 They are both Kevlar belted and have worked wonders and are wearing well. 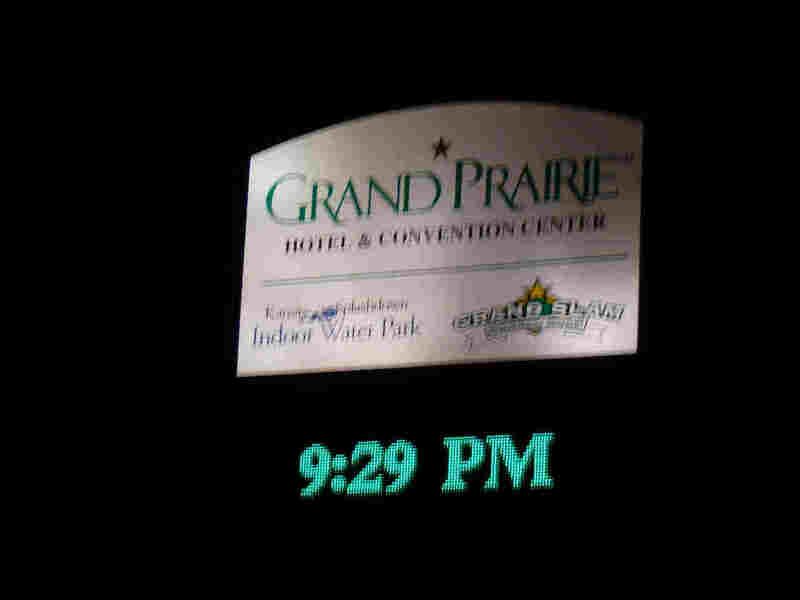 We are staying at the Grand Prairie Hotel and Convention Center compliments of the General Manager, Marc Ahrens. This is a big place and you ought to see their pool. Wow!! I'll try to add a few more items tomorrow. 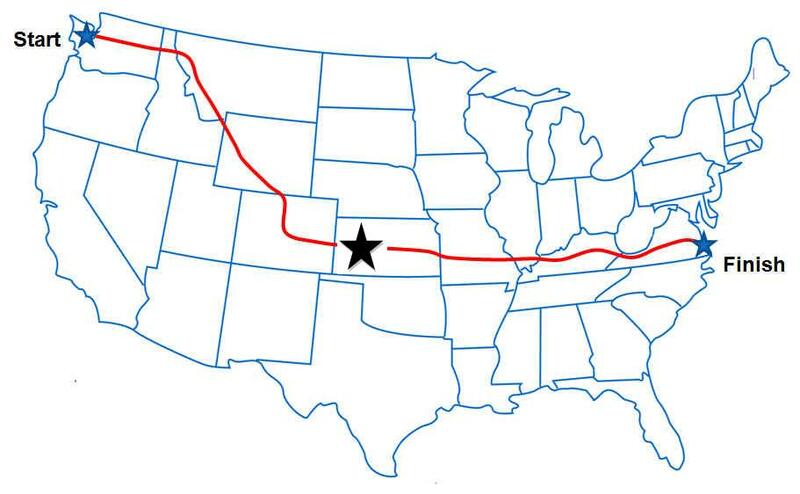 We are riding to Eureka, KS and it is a little shorter distance. Also the Kitsap Sun wrote up a nice status story on our trip. Thanks Mandy!! I got some feedback from Maechelle on the type of bull this is. Maechelle wrote "I saw the picture you had posted of a bull that you saw on Monday ( 7/20/09 ) and I thought I would sent you some info on this unique breed of cattle! They are called Ankole/ Watusi cattle and were brought here from Africa in the 1960's. They cool their body down by increasing the blood flow to those huge horns, a useful survival strategy when you live in Africa! Average horn size is 18 inches in diameter, and 12 feet long from tip to tip. They are an exotic breed and still known as the cattle of kings in Africa." Those still are some pretty impressive horns!! Sign as you come into town. Pretty big!! In Spearville there are 67 wind turbines. Wind good for the generators; wind BAD for the bikers!! 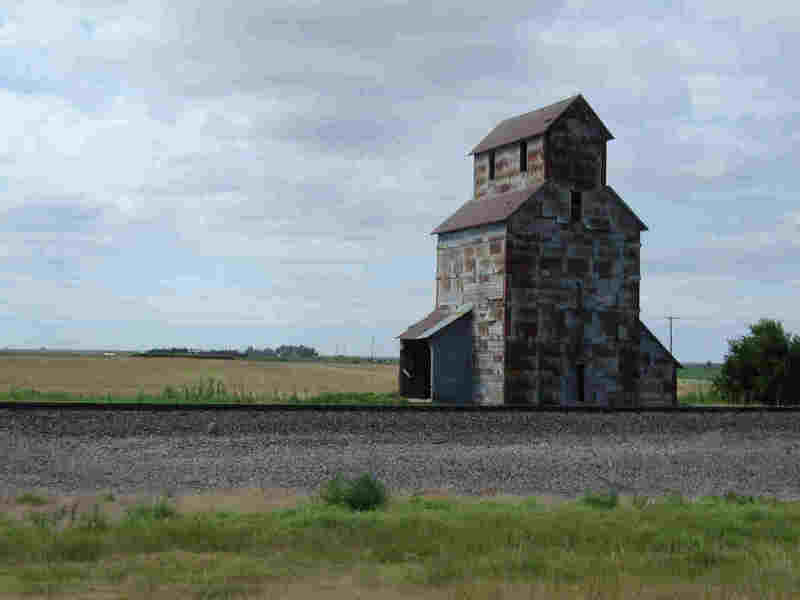 An old building along the track. These are every where from when the train was the line line to the old west. John makes a new friend in Macksville, KS. Riding against the wind is hard! Kinsley was a neat place; especially since it the 1/2 way point.